Goringe Accountants is an accountancy firm with headquarters based in Reading, West Berkshire and offices in Paddington London. Goringe Accountants is an accountancy practice founded in 2007 by Nicky Goringe Larkin, a qualified Chartered Management Accountant. Nicky has worked in a range of companies from bluechip multinationals to new ventures before coming into practice. She has wide experience in setting up finance teams and systems, managing all aspects of financial and management accountancy, installing best financial practice and gaining company financing. Nicky is the Chair of the Reading & West Berkshire Federation of Small Businesses (FSB). More information on Nicky can be found on the Meet The Team page. The accountancy practice has been growing steadily with new team members and a wide variety of new clients. The team has a large spectrum of practice and industry experience. 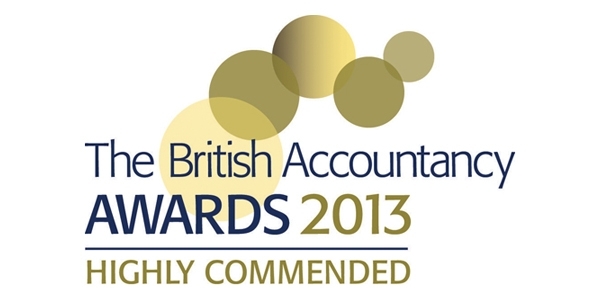 2013 British Accountancy Awards – Runner Up in the ‘Independent Firm of the Year’ category, being additionally awarded the ‘Highly Commended’ accolade. Goringe Auditors — a new subsidiary of Goringe Accountants — became official auditors in December 2013. The ICAEW — one of the bodies that govern financial audits in the UK — awarded the Goringe Auditors team a registration certificate, which means we’re now qualified to offer audits of financial statements.